Sinusitis, also known as a sinus infection, is a painful yet incredibly common medical condition that affects people of all ages. Dr. Palmer and her team at Happy Healthy You Family Medicine in Glassboro, New Jersey will provide you with a complete plan to treat your or your family's sinus infections to recover and resume your usual life as quickly and smoothly as possible. They'll also educate you on how to prevent sinusitis in the future, which means less time spent catching up on missed work and school and more time enjoying a healthy, vibrant life. Sinusitis, or a sinus infection, happens when the linings of the sinus cavities become inflamed and irritated. The sinuses are hollow cavities below the skin in the front of your face that are above and below your eyes. Healthy sinuses are small cavities filled with air. When the sinus passages become blocked, germs can grow inside the pockets and cause infection. Severe cases of sinusitis might include fever, bad breath, fatigue, or dental pain. 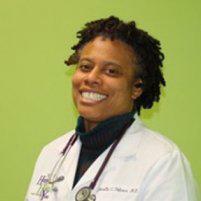 Dr. Palmer and her team know what to do to help you overcome sinusitis. First, she evaluates your sinuses and asks questions to determine the severity of the infection. She tries to find the cause of the sinus infection and provide a treatment plan based on the factors involved. Depending on the case, she might prescribe antibiotic medication or suggest an over-the-counter decongestant. She also provides information on simple treatments to ease the pain and discomfort at home and ways to prevent spreading the infection to the entire family. Once the infection starts to clear up, the pain dissipates within a few days. What happens if sinusitis goes untreated? If left untreated, sinusitis can turn into a chronic and debilitating condition. In addition to throbbing pain and fever, the infection may spread to other parts of the face and brain, leading to meningitis, a brain abscess, or a bone infection. It's very important to seek treatment immediately after determining you have a sinus infection. 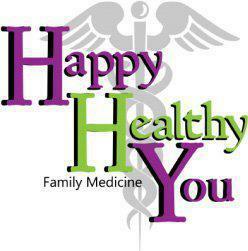 The team at Happy Healthy You Family Medicine has your cure, so call or click today to find relief!